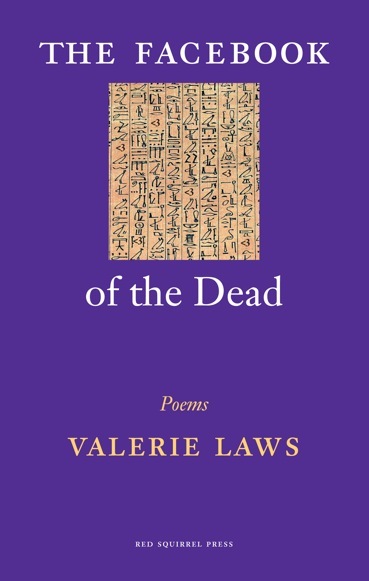 Valerie Laws’ thirteenth book combines poems of pathology and loss, speed-dating tortoises, baking scones for Eminem, haiku sprayed on beachballs, and passionate polemic in more of her signature ‘compassion, neuroanatomical detail, explicit eroticism and black humour’ (Susan Standring, editor of Gray’s Anatomy). Many prize-winning & commissioned poems are included, some having featured in major exhibitions (APOPTOSIS installation HERE), anthologies, stage productions (BOUNDLESS HEART from The Selkie) or on BBC TV (WATER'S BRIGHT WORDS beach ball quantum haiku). Available from author events, from publisher Red Squirrel Press, from Inpress Books, or order from bookshops. SEE 'News & Events' for details of readings and performances. ‘Brilliant. …I came as a skeptic and left oddly impressed…rather wonderful combination of words’ Griff Rhys Jones, BBC2, Why Poetry Matters, Water’s Bright Words beachball haiku. See the video of the beach ball haiku activated at Hackney Lido on BBC2's documentary Why Poetry Matters, here. Photos from live performance at Royal Festival Hall, London, here.